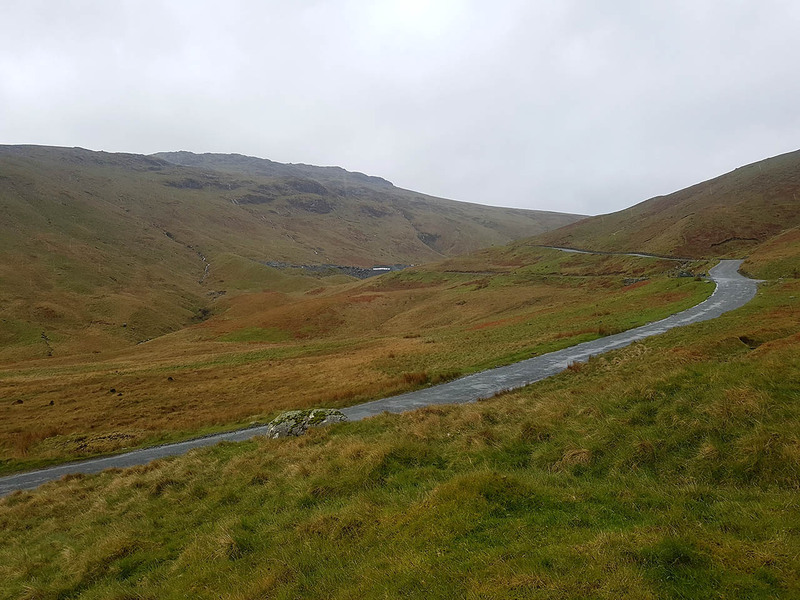 A view back to Honister Slate Mine and part of Honister Pass. 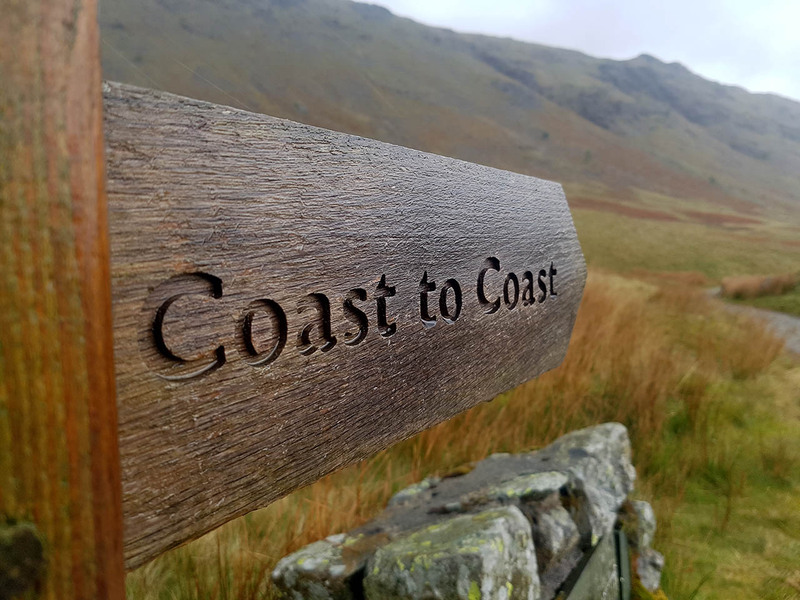 The odd rare signpost for the route. This was one of the only parts of the day where it wasn't raining! 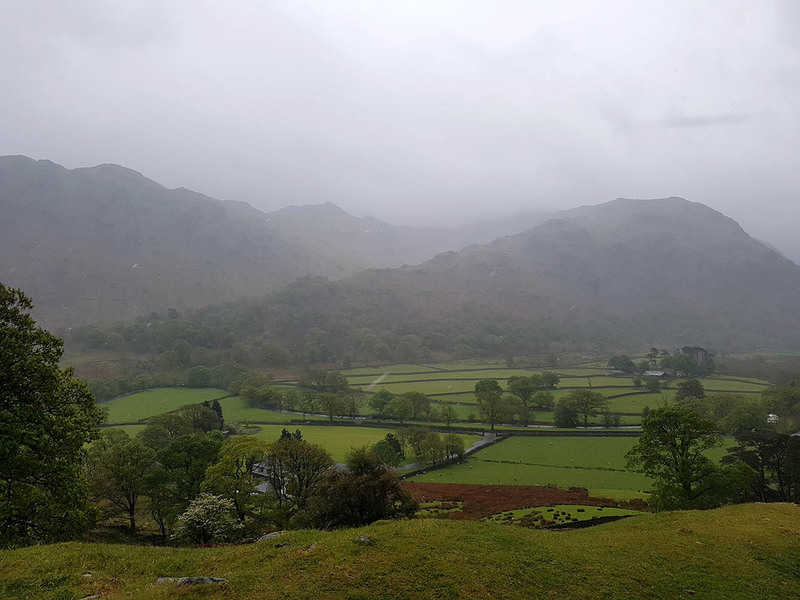 A view to misty fells in the rain. 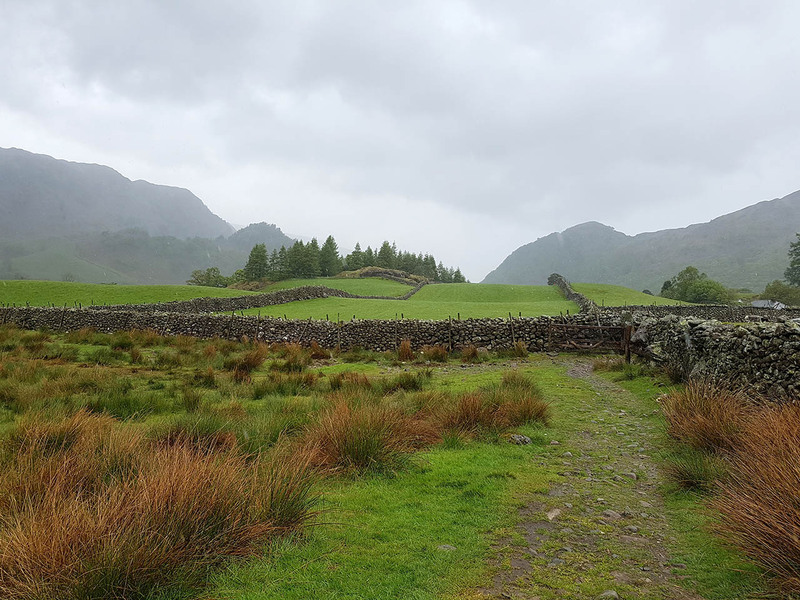 Heading into Borrowdale. It looks a little clearer ahead. 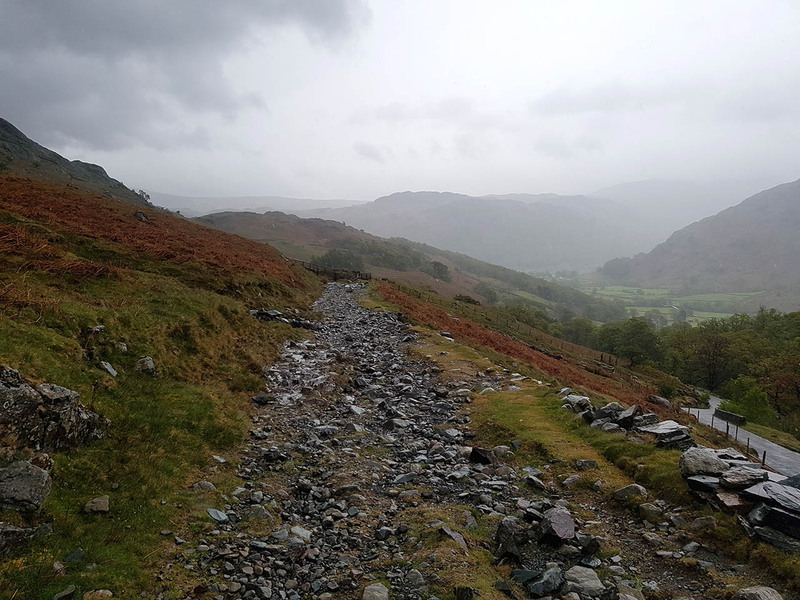 Descending down to Seatoller in Borrowdale. 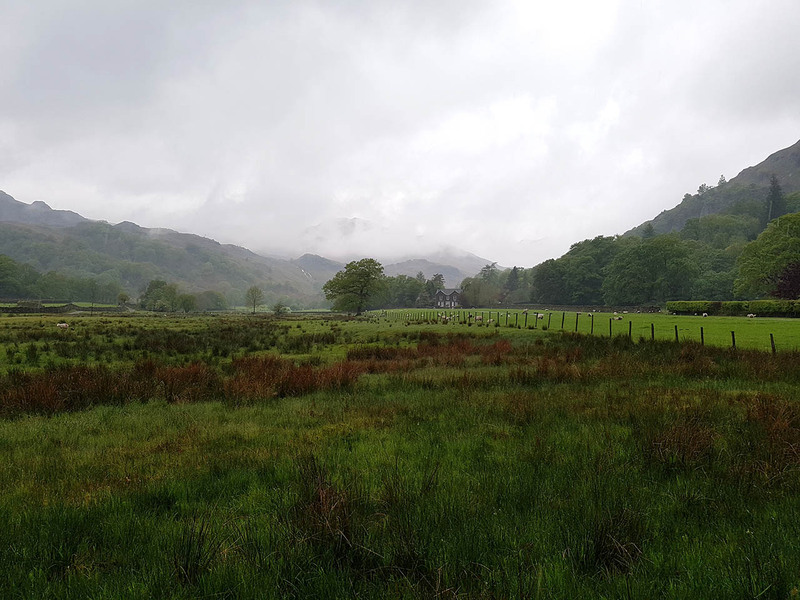 Rosthwaite Cam and Thorneythwaite Fell. 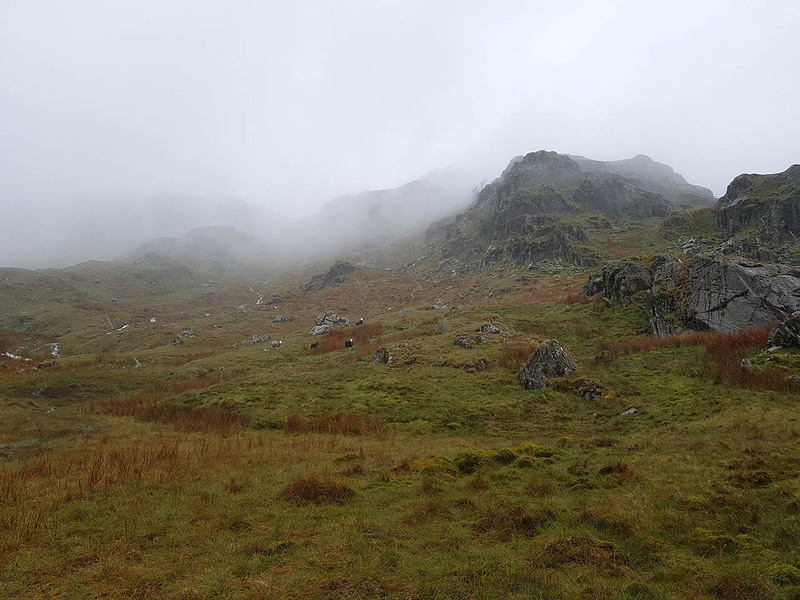 Glaramara lost up in the cloud. 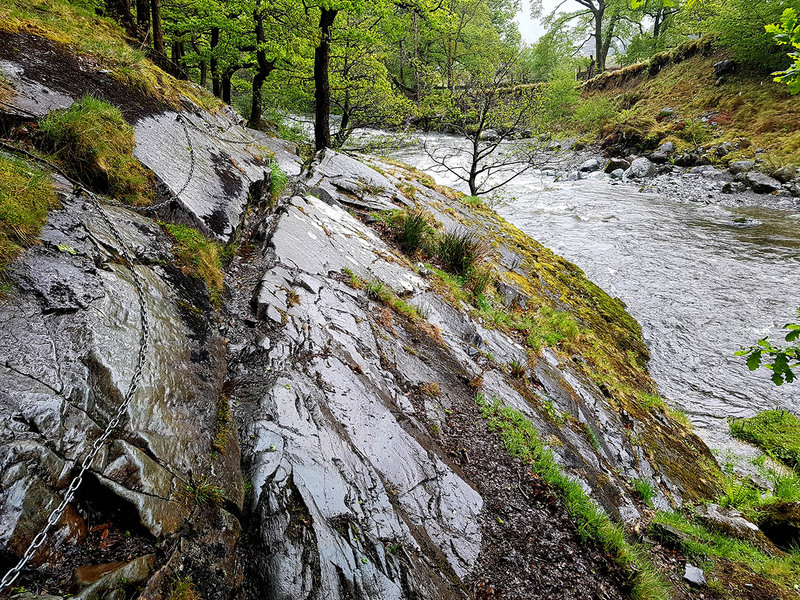 Following the River Derwent into Rosthwaite. 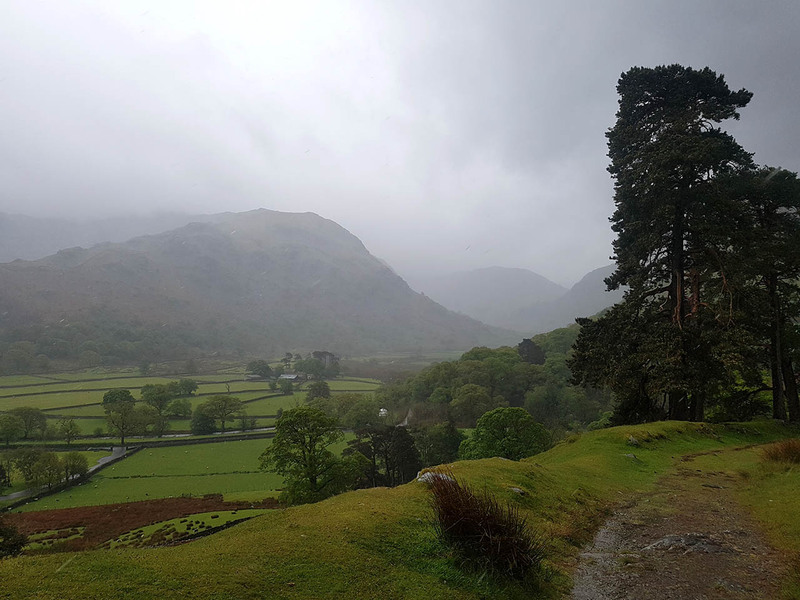 Castle Crag and Kings How. 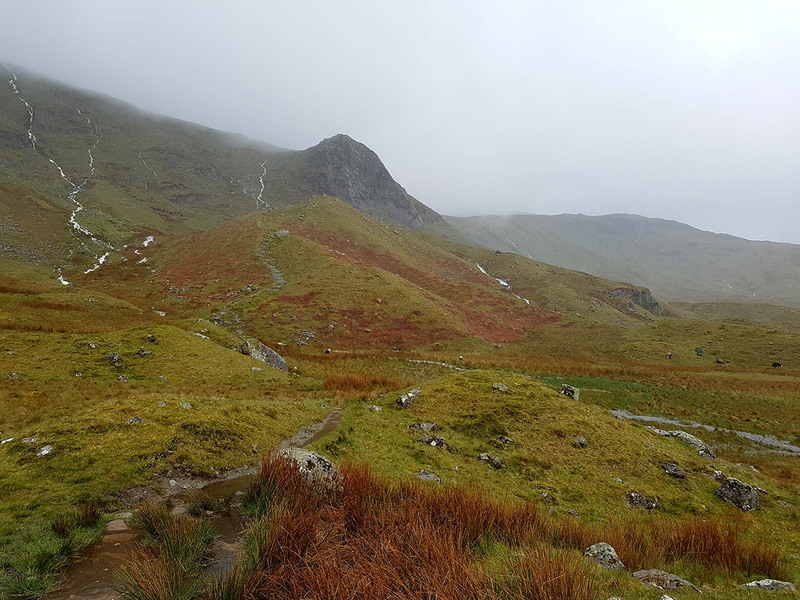 The path leading to Greenup Edge with Eagle Crag ahead. 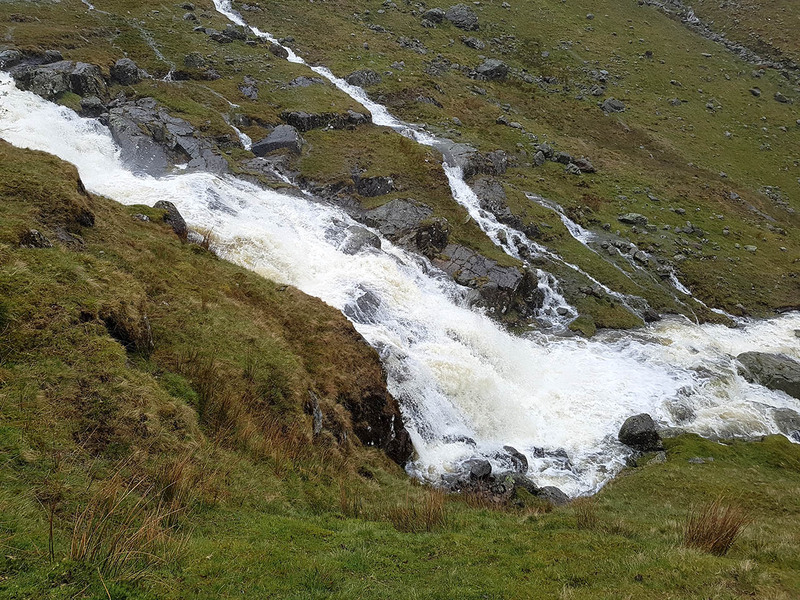 Lots of flowing water today. 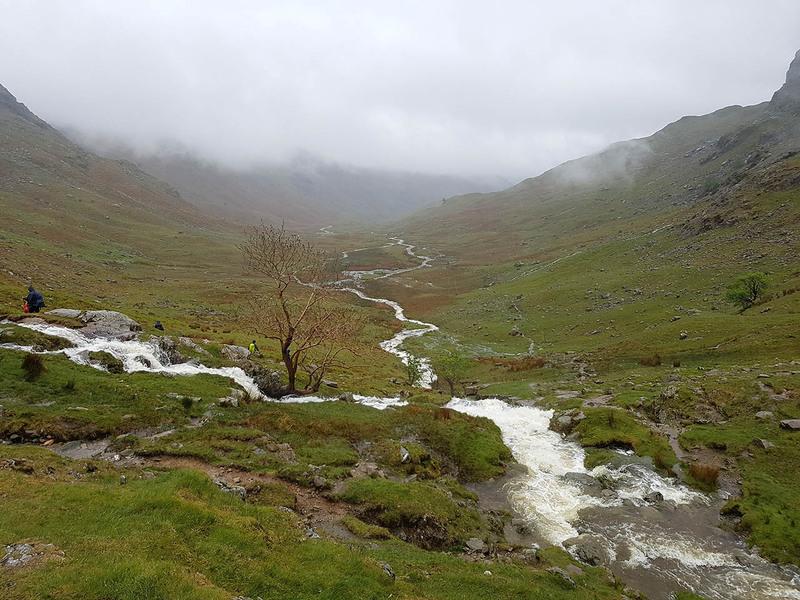 Whilst heading up here I was cautious of the cloud and bad weather but completely forgot about how many streams cross this path... some of the crossings were interesting to say the least! 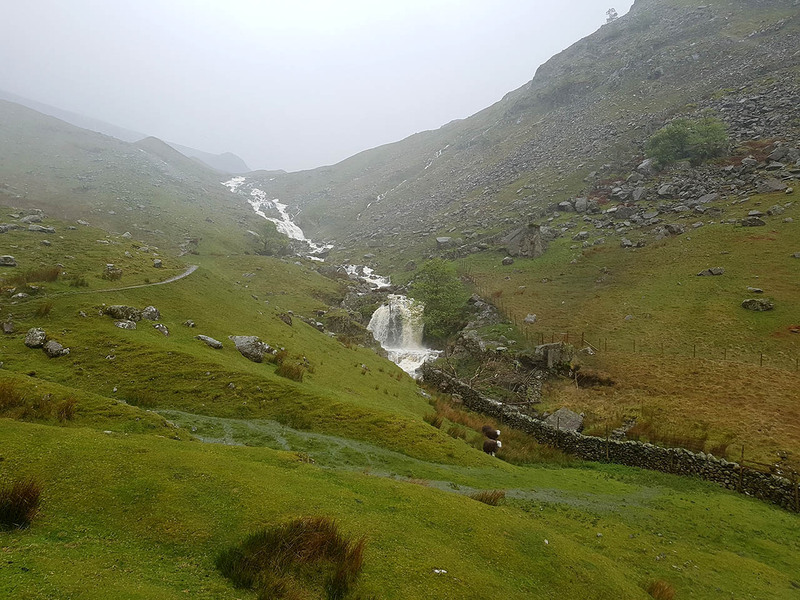 Beautiful waterfalls crashing down the mountainside. 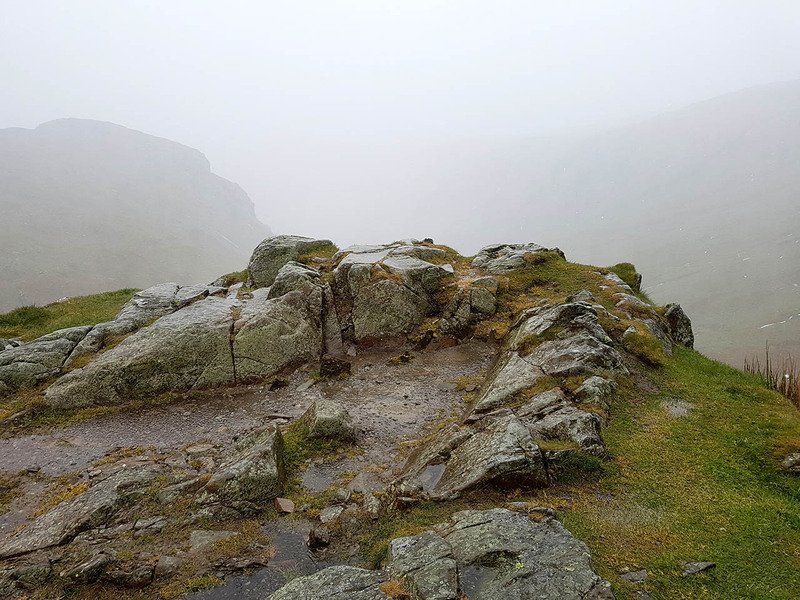 The summit of Lining Crag. Still have dry feet! 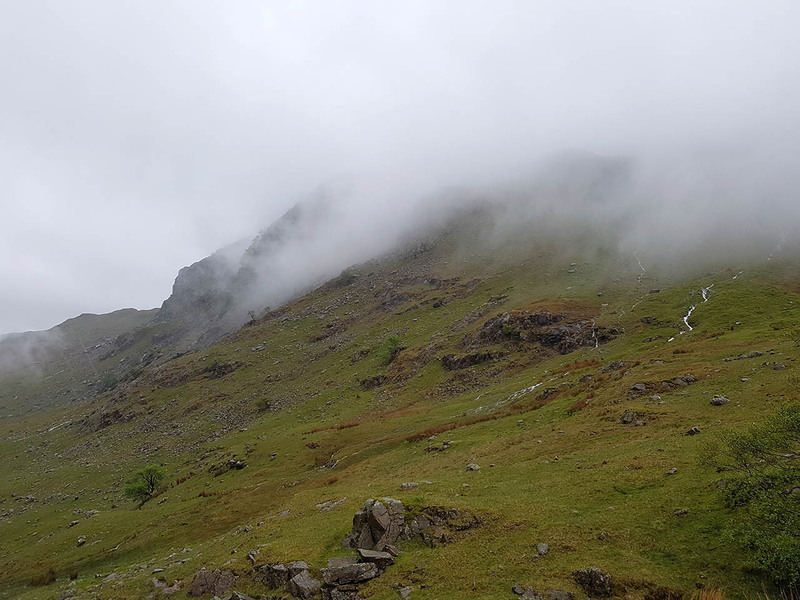 The original plan was to continue up over Greenup Edge and then follow the ridge to Helm Crag but due to the apalling weather I decided to continue down Easedale instead. It was also at this point I came across a phone just laying on the floor still working, more on that later. 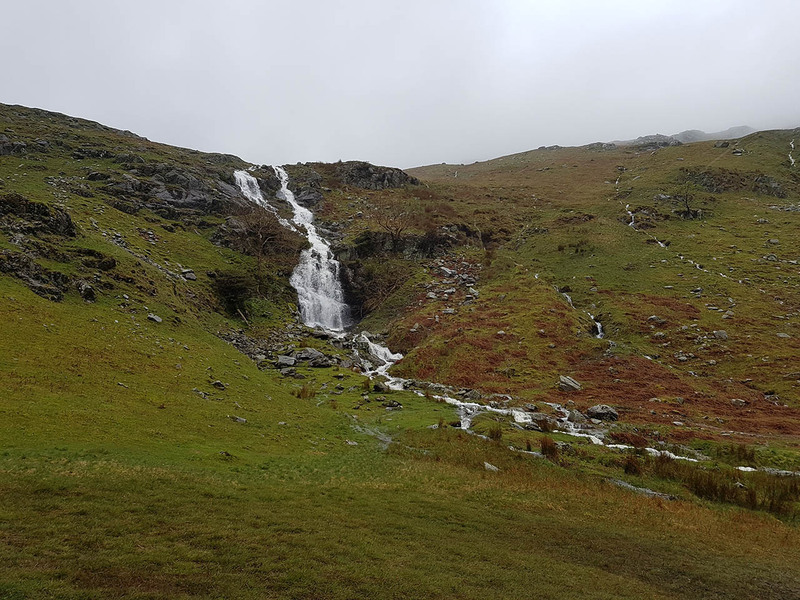 The waterfalls are not normally this spectacular! Just in the bottom right of this picture is meant to be the normal crossing of the river. No chance today, the water was too ferocious. But on the other hand there are a few people ahead - did one of them from their phone? After heading down to ask them I indeed found the owner which was great and he was very chuffed that it had been found. 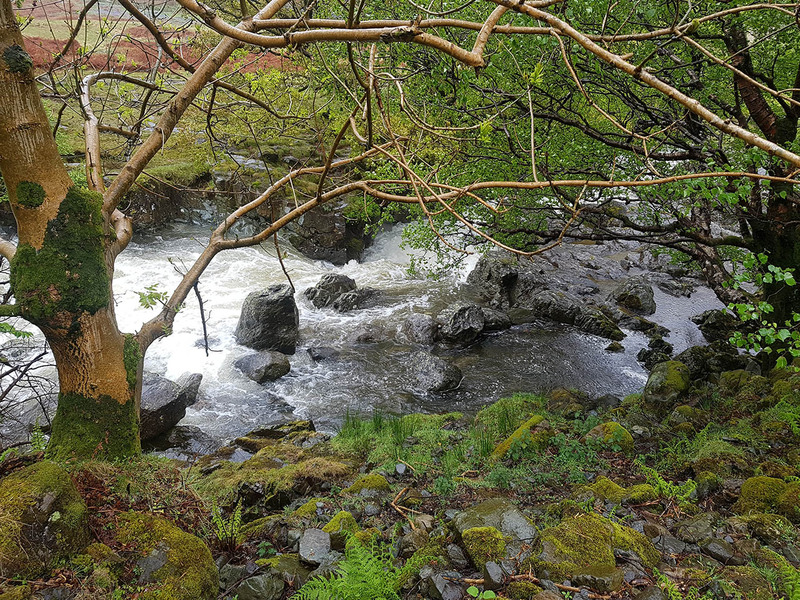 On a negative note I had descended down where the river was going to have more volume... In the middle of the photo where the river splits into tributaries I simply had to wade across, knee deep for about 150m and oddly by this point I felt no wetter than before! 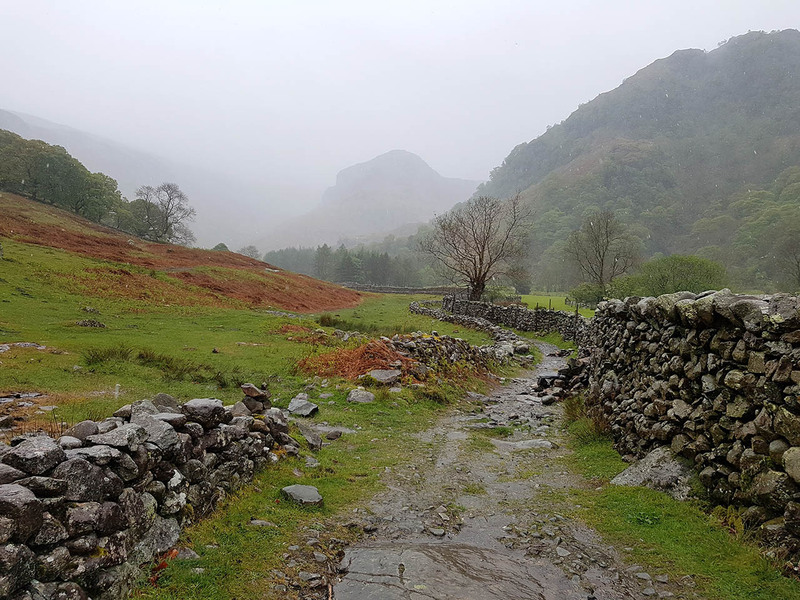 A view back up Easedale from about half a mile from Grasmere. That was an interesting walk. 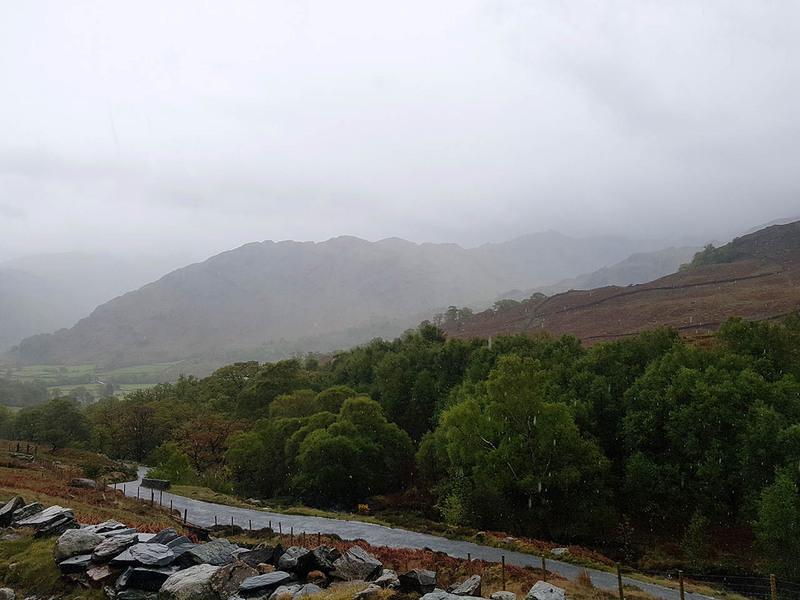 Never have I ever got so wet... Im sure when I got back to where I was staying and had a shower I was dryer when I got out than when I was walking!